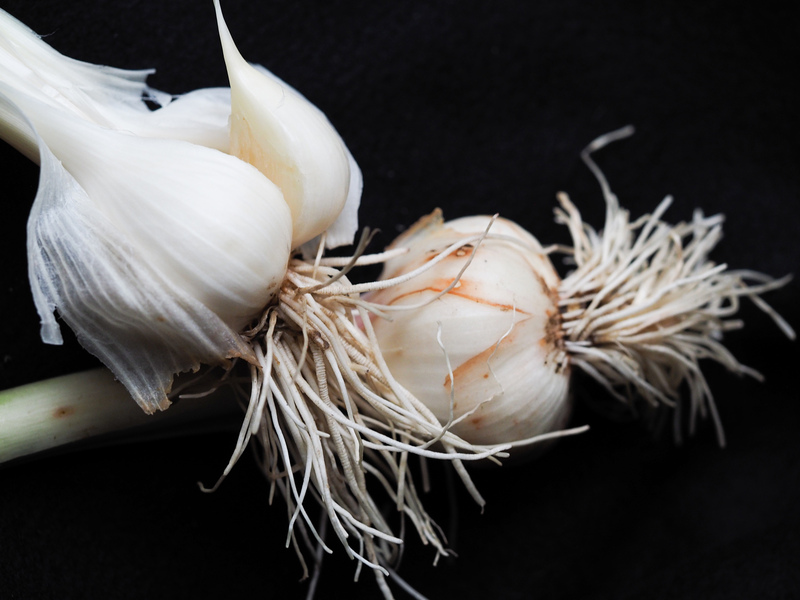 ‘Tis the season for all types of fresh vegetables, but one of our favorites is fresh garlic. 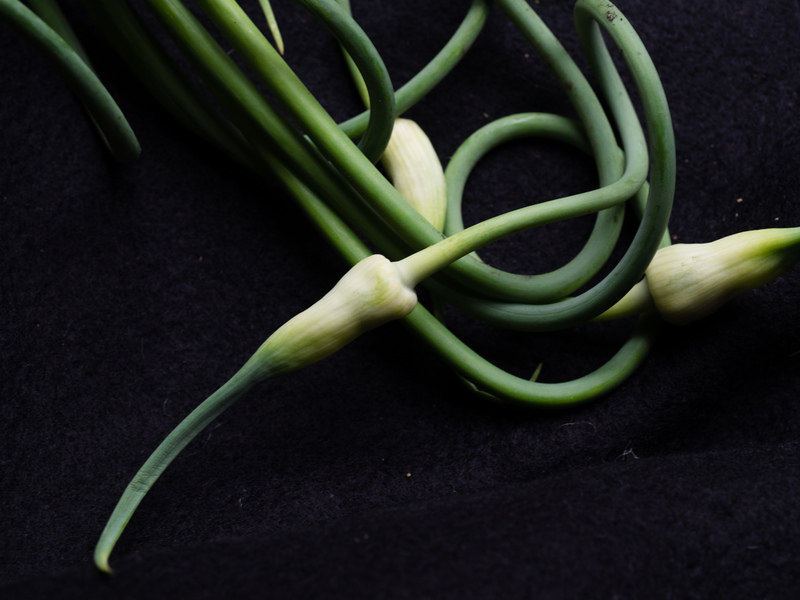 And, when it arrives, so do garlic scapes. Both are less pungent than dried garlic (which my son, Chris, tells me I always use too much of in everything) and the bulb has a sweetness that is only detected in the dried when it is roasted. This is an easy recipe that allows that flavor to shine. Place the chicken stock in a medium saucepan over medium heat. Bring to a bare simmer, lower the heat, and leave on the heat as you prepare the rice, taking care that it doesn’t boil and lose volume. Heat the butter and olive oil in a large saucepan over medium heat. Add the pancetta and cook, stirring occasionally, for about 5 minutes or just until the pancetta begins to crisp. Add the garlic and shallot and continue to cook, stirring frequently, for another 4 minutes or until the aromatics have softened, but not taken on any color. Add the rice and orange zest and cook, stirring constantly, for about a minute or until the rice is glistening. Season with salt and pepper. Begin adding the stock, a large ladleful at a time, allowing the rice to absorb the stock before adding more. Cook, stirring constantly, for about 30 minutes or until the “sauce” is creamy and the rice is almost cooked. Add the scapes and cook, stirring, for about another 5 minutes or until the rice is al dente. Stir in the cheese, taste, and, if necessary, season with salt and pepper. Remove from the heat and ladle into shallow soup bowls, sprinkling with additional cheese, if desired.